A Return Visit to Bayreuth! Over the past 10 months, TheCulturedTraveler has presented fresh content for every blog entry. However – and for the 1st time ever – I’m reblogging and updating a post from last November in honor of the start of the Bayreuth Festival in the little town of Bayreuth, Germany. In less than 2 hours from the publication of this post, the 2016 season will be underway. Of course, what would a Bayreuth Festival be without some gossip and lots of controversy and, of course, this season is no exception. Each year, the Festival presents one new production. 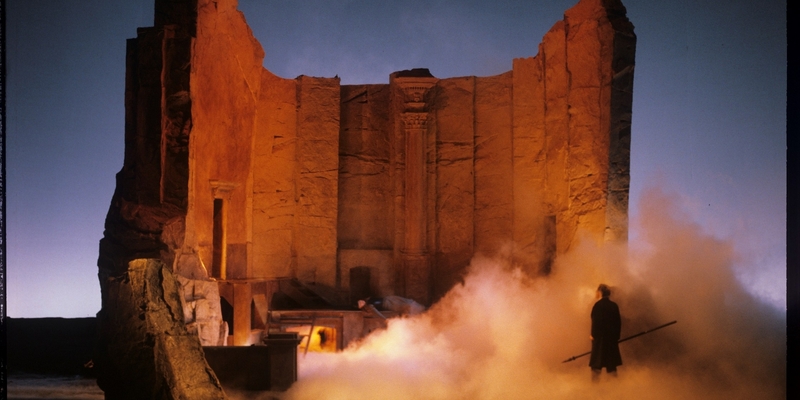 This year, it’s the Meister’s ultimate work, Parsifal, which is replacing a landmark production by Stefan Herbeim, retired in 2012. 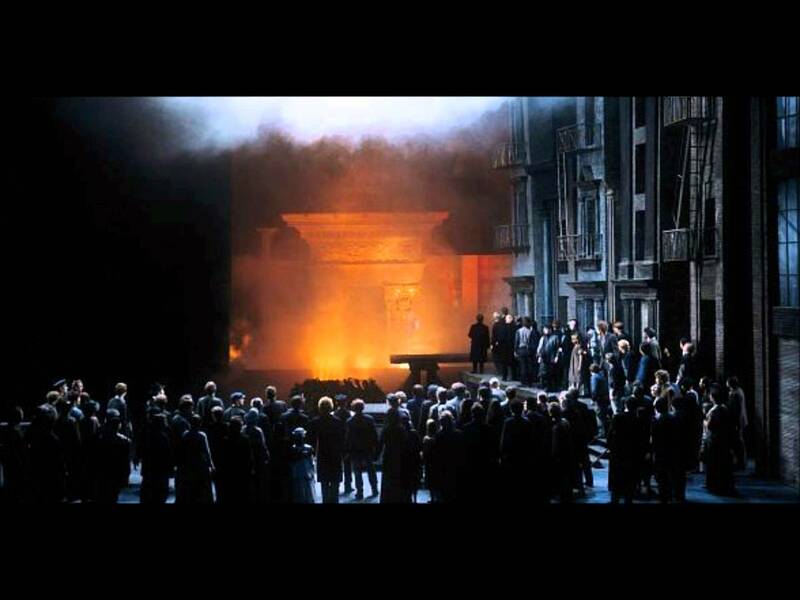 This year’s production was to have been conducted by Andris Nelsons but, less than 4 weeks before the premiere performance, which starts this afternoon at 4:00 PM Bayreuth time, he abruptly walked out of the production and out of Bayreuth. 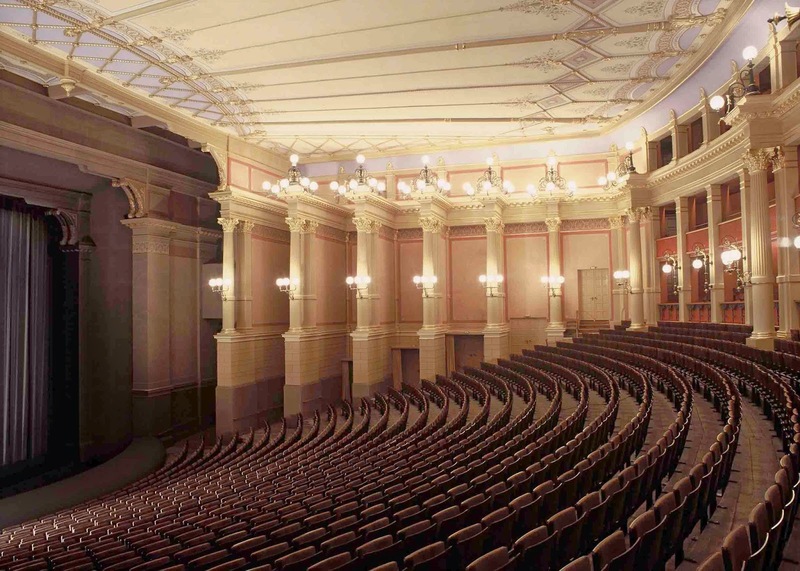 There is a opera house in Bayreuth (pronounced bye-roit) Germany, which was built between 1872 – 75 for the express purpose of presenting Richard Wagner’s magnum opus, Der Ring des Nibelungen. 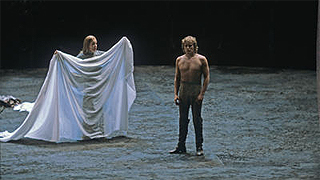 For those of you unfamiliar with the Ring, Wagner spent over 20 years composing these 4 operas or, more specifically, a Prologue (Das Rheingold) with 3 operas to follow (Die Walküre, Siegfried and Götterdämmerung). If nothing else, the audacity of an artist creating an entirely new style of music and operatic presentation spread over 4 evenings (and 15+ hours) has to be respected. 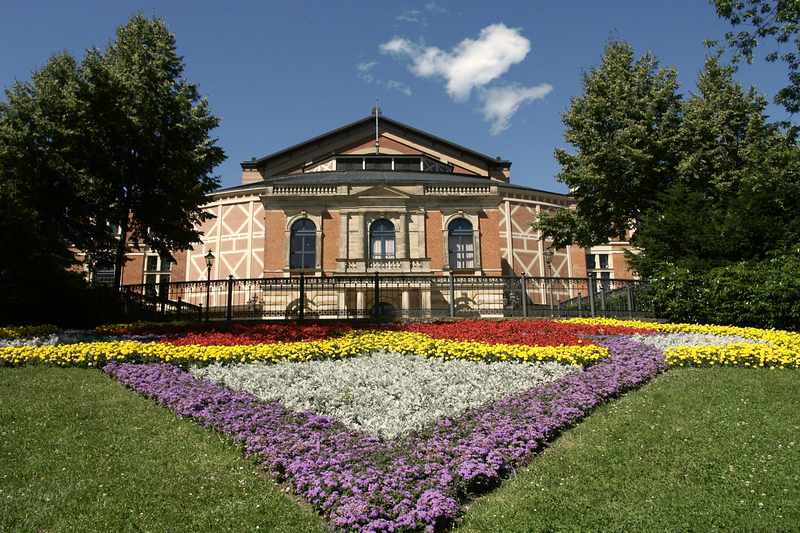 This grand work would be presented as a Festival and, indeed his theatre is called the Festspielhaus (Festival House). The demands (and, hopefully, the rewards) of presenting the Ring placed upon the singers, orchestra, designers and, not least, the audience, would be unprecedented. 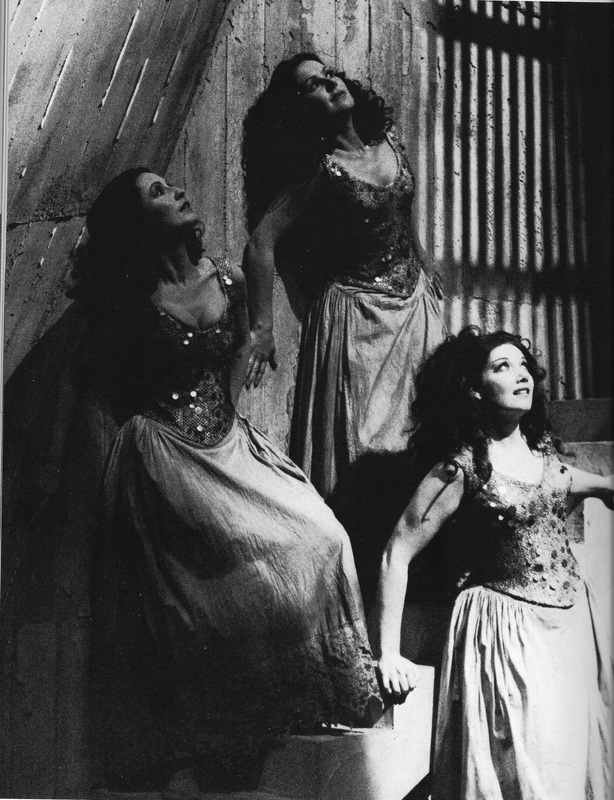 Why Bayreuth? Wagner wanted a location that was far away from virtually anything that would interfere with the audience’s complete concentration on and attention to his Ring. 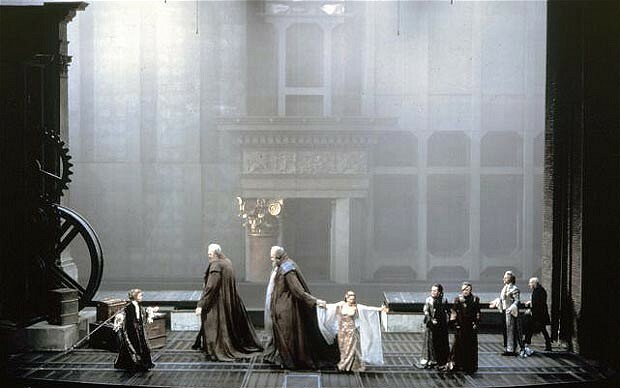 Additionally, he needed a huge stage on which to present the operas. 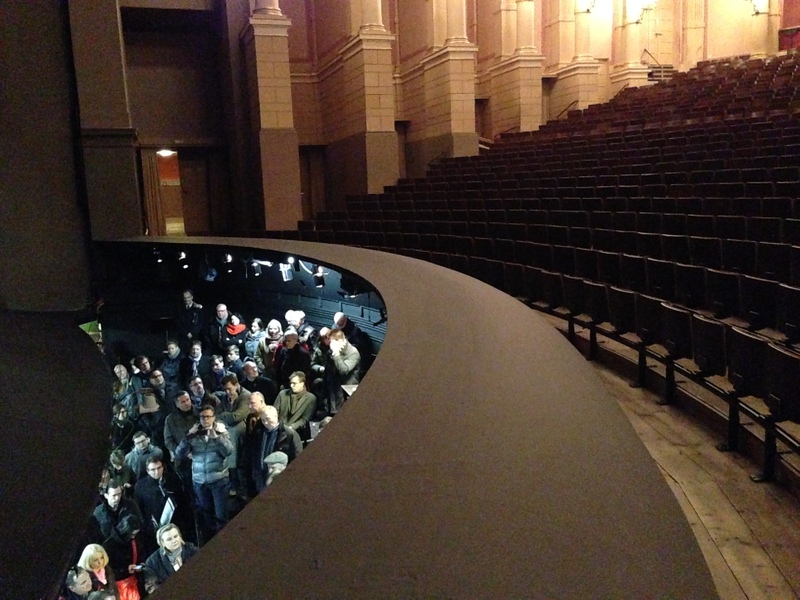 There is another opera house in Bayreuth that Wagner thought might work, as the stage was unusually deep. However, when Wagner saw the opera house, he thought it was too rococo for him and the Ring. He wanted something much simpler that, again, would not distract his audience from what he had called his Gesamtkunstwerk, defined by Webster as “an art work produced by a synthesis of various art forms (such as music and drama)”. 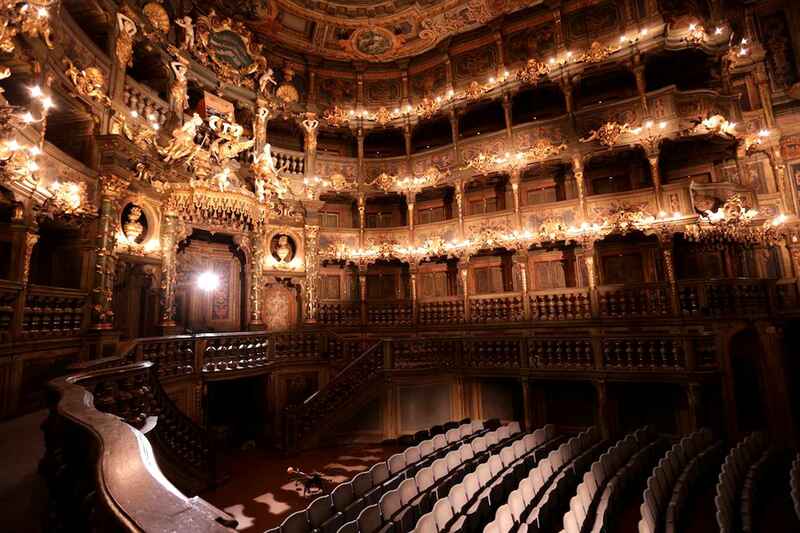 The other opera house – too rococo?? And another challenge that continues to this day: Bayreuth is not easy to get to (unless you live somewhere in Europe and like to drive). The first time I attended the Festival, I was able to fly from New York to Frankfurt and then fly on a “puddle-hopper” to Bayreuth. Nowadays, you’d need a private plane to fly into Bayreuth, which, in the alternative, leaves you with a 4+ hour train ride from Frankfurt (with a change of train in Nuremberg). Or you could fly from Frankfurt to Nuremberg and then train it to Bayreuth. Any way you slice it, it’s a LONG trip! The theatre was unique when it was built and still is. Inspired by the Greek amphitheaters, the main floor is fan-shaped and has 30 rows. Behind and above are several sections (loge and balcony) and, of course, a royal box for the Swan King (Ludwig). There are 1,900 seats altogether and no boxes for the “important people”. Seating was intended to be entirely democratic. The most unusual feature of the theatre is that the orchestra pit is famously and entirely concealed from view of the audience. Wagner intentionally designed it this way so that there would be no distractions when watching his grand works. Additionally, Wagner’s theatre was the first ever to present the operas with the house lights entirely turned off, an innovation at the time. In this way, the audience, sitting entirely in the dark, couldn’t “yoo-hoo” at friends and frenemies during the performance and had to pay attention. The beginning ofDas Rheingold with its ominous E-flat bass notes which morph into the music of the Rhine river is played in complete darkness, so dark that you can barely see your hand in front of your face. Imagine what that must have been like for audiences accustomed to a totally different experience when attending the opera. It was nothing less than revolutionary. Wagner originally had the crazy idea that he would build this theatre, the Ringwould be presented and, afterwards, the theatre would be torn down. Well, that didn’t happen, did it? 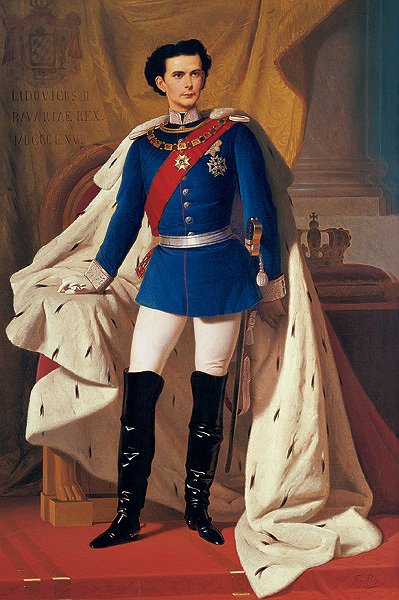 Wiser heads (including his own) prevailed and after the world premiere of the completed Ring in 1876, plans were immediately made for another Festival at which all of the mistakes of the first year (and there were many, many mistakes) would be corrected. But it was another 6 years before the next Festival and, as it happened, the Ringwas not presented. 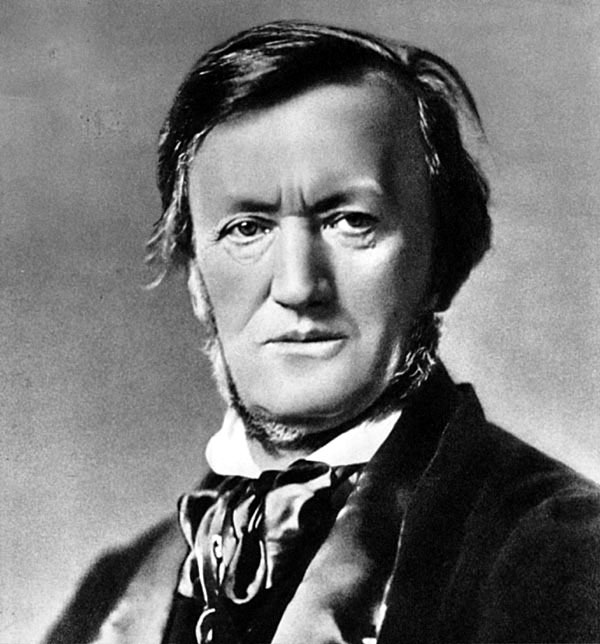 Instead, it was the world premiere of Parsifal that the audience heard and which Wagner had composed with the Festspielhaus’ unique acoustic in mind. This time, Wagner had a complete triumph: the perfect opera, with the perfect cast and a perfect production (perfect, at least, for 1882). Buoyed by this success, plans were made to get the Ring back into the theatre pronto. And then, 6 months later, Wagner died in Venice. It took several years, but the Festival was eventually resurrected by Wagner’s widow, Cosima (who, incidentally, was the daughter of Franz Liszt). Over time, certain traditions were created that continue to the present day. It was decided that, in addition to the Ring and Parsifal, only the Master’s matureworks (Der fliegende Holländer, Tannhäuser, Lohengrin, Die Meistersinger and Tristan und Isolde) would be presented. Without fail, the Festival would open each year on July 25th and close on August 28th. The Festival would be a workshop, at which each production would be presented for several years and, in each successive season, return to the rehearsal studio to refine, improve and rethink each opus. After Cosima’s death, the Festival was handed over to her son, Siegfried (who, by the way, was GAY, but people didn’t talk about such things back then). Upon his premature death in 1930, the Festival was taken over (stolen??) by his widow (wait – he was MARRIED???? ), Winifred, who presided over the Festival for the next 14 tumultuous years. You see, during the 1920s, she had become friends with this up and coming politician of whom she was much enamored. In fact, she was so bewitched by this charismatic young man that, or so the story goes, she provided him with the paper on which he wrote his most famous book: Mein Kampf. 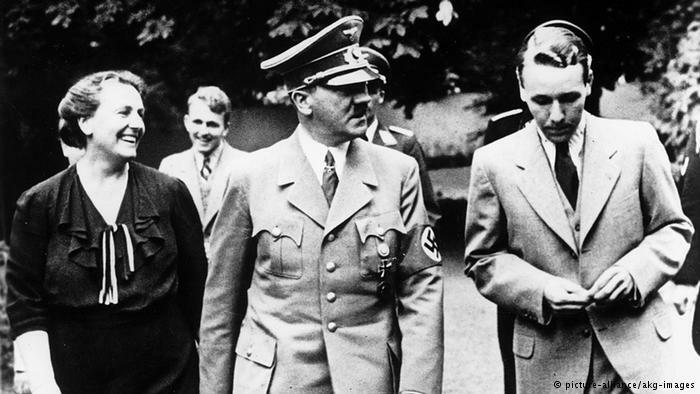 And that’s how Adolf Hitler – who was Richard Wagner’s #1 fan – came to be a fixture at Bayreuth through the 1930s and, finally, the 1944 Festival, after which the theatre shut down (almost for good). But wait: Siegfried and Winifred had 2 sons – Wieland and Wolfgang who, after the war (and after being denazified), were allowed to reopen the Festival in 1951. Because there was no money, and because there could be no compromises on the presentation of the music, Wieland caused another revolution by what he put on the stage which was, basically, nothing except the singers, some very simple set pieces (such as a circular platform for the presentation of the Ring) and the most effective lighting that had to that time been seen in a theatre. It caused a sensation: although the old guard was outraged at what they were (or more correctly, weren’t) seeing, there were others who were enchanted and, in fact, relieved not to be seeing all that Teutonic stuff strewn all over the stage. I think it was a masterstroke of luck that the Festival was practically bankrupt after the war, which enabled Wieland and, to a much lesser extent, Wolfgang (who didn’t possess anywhere near the talent of his brother) to create a new style of presenting their grandfather’s work, which completely severed it from any connection to Hitler and the Nazis. In fact, Wieland was solely responsible for ushering in “Der Neue Bayreuther” or New Bayreuth. 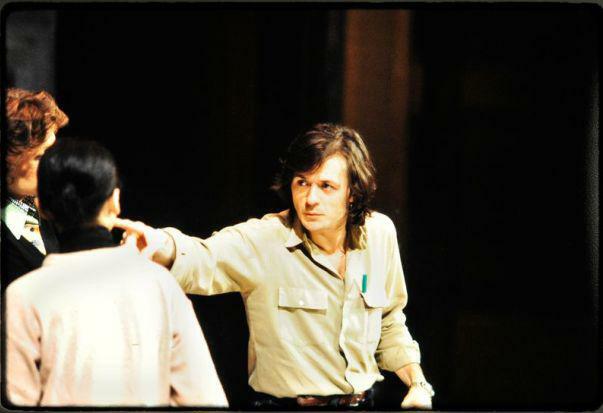 Since 1951 and the reopening of the postwar Festival, there have been more revolutions: the Centenary Ring in 1976, staged by the late, great Patrice Chereau and conducted by Pierre Boulez. It was Chereau’s concept to present the operas in Wagner’s own time (and during the Industrial Revolution) and to focus on the evils of capitalism and anti-Semitism. Chereau, who had directed only one opera before taking on the Ring, was a masterful director who had no preconceived notions about these operas and worked from the text. 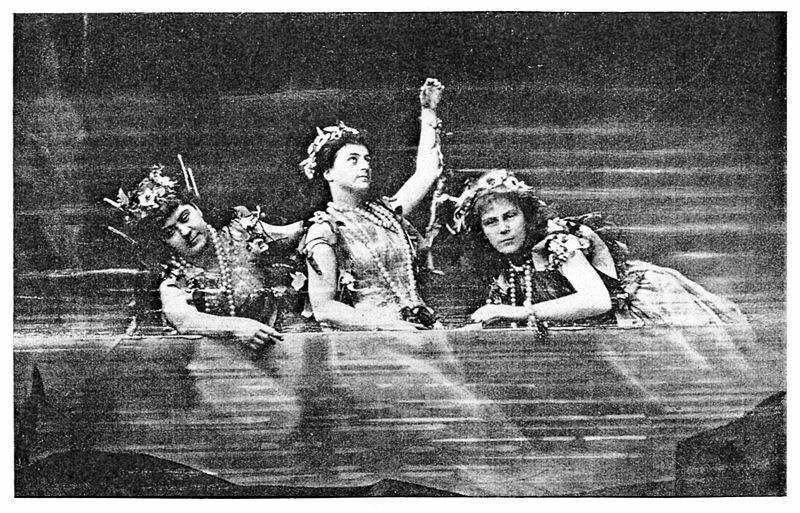 The singers in this production who most benefitted from working with Chereau – Gwyneth Jones as Brünnhilde, Donald McIntyre as Wotan, Peter Hofmann as Siegmund and Heinz Zednik as both Loge and Mime – gave the performances of their careers and presented acting that was so natural and believable that it created a very special experience for the audience. The initial performance of each opera was broadcast around the world and the audience got more and more testy as each production unfolded. Now it wasn’t necessarily unusual to hear booing at the Festspielhaus at the end of a performance, but how about at the beginning of Act III of GötterdämmerungDURING THE MUSIC?? You can actually hear the opening of the act, imagine the curtain rising and, then, there it is – LOTS of boos, along with some segments of the audience “shushing” the dissenters, or were THEY the dissenters?? The production was so controversial that it’s hard to tell. My favorite report from that premiere Ring season – perhaps apocryphal – is the story of the two grande dames – middle or late age, impeccably dressed, of some importance – who got into a bit of an altercation at the conclusion of one of the performances. What began with some pushing and shoving and lots of verbal abuse, quickly escalated when one of them decided to pull off the other’s earring, not realizing that the other dame had pierced ears. Yes, you got it: she removed not only the other dame’s earring but the earlobe as well. Yes, Wagnerites are so passionate about the Master’s works that blood will be spilled. Fast forward to the Festival of 1980 and the retirement of Chereau’s Ring. I happened to hear the very last performance of Götterdämmerung on a radio broadcast and what a difference 4 years makes. At the conclusion ofGötterdämmerung, the curtain calls (and cheering, no boos this time) lasted for something like NINETY minutes! Whatever it was that repelled and outraged the audience in 1976, they were now completely under the spell of a masterful and game changing production. So, after all that, you wanna go to Bayreuth? Any opera lover worth her salt should make that pilgrimage at least once. Hold on. It’s not that easy. Remember when I said that the theatre had 1,900 seats? Generally speaking, there are 30 performances presented each year for a total of 57,000 available seats. However, attendees to Bayreuth are not going to travel all that way to see one show – they’ll probably want to see everything presented that season (usually the Ring and 3 other operas). So, there are 57,000 available seats. But each year, the Festival gets something like 250,000 requests for seats. And each of those people wants to see everything, too. In the past, ticketing was managed by the “Wagner computer” and, if you applied every year without fail (you’d be punished if you missed even one year), the typical waiting period to actually get seats was about 10 years!!! Nowadays, some tickets for each season are available on the internet at the Festival’s website and, if you’re fast and lucky enough, you might even secure seats. These intrepid souls may actually hop to the front of the line and get in, and good luck to you! 2016 UPDATE: I just happened to go onto the Festival’s website this past weekend and – lo and behold!! – it was possible to snag a pair of excellent seats for the 2nd Ring, which starts in about 2 weeks. Over the past few years – due, in part to the German government’s intervention – tickets to the festival are becoming somewhat easier to obtain. 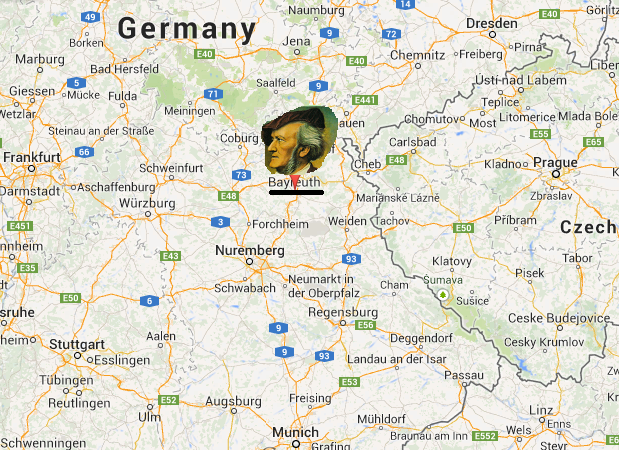 If you are an intrepid (and somewhat obsessed) Wagnerite, you can now get to Bayreuth without waiting 10 years for the Wagner computer to admit you. Ho-jo-to-ho!!! And even if you should be one of the chosen few, Wagner never factored comfort into the design of the theatre. What do I mean? Well, for instance, the seats are pretty uncomfortable (not much padding and no arm rests) and the theatre is not air conditioned. This may not seem like much, but I’ve been to Bayreuth during incredible heat waves and the temperature inside the auditorium rises to over 100 degrees. In the old days – I don’t know about now – formal attired was REQUIRED, so there you were in your tuxedo with the sweat running down your back. And did I mention that Wagner’s operas are LONG?? Das Rheingold, the “prologue” to the Ring, runs anywhere from two hours, fifteen minutes to two hours, forty-five minutes (depending on the conductor) and is played in ONE ACT!!!!! No intermission!!!!!!! No bathroom breaks – no one would DARE to attempt to leave the theatre during a performance, and you couldn’t even if you wanted to!!! And in a theatre in which, during a heat wave, you could bake a cake!!!!! But guess what? It’s totally worth it. On the right night, with the right singers and conductor, and with a director who knows what s/he’s doing, you will have the most magical, inspiring and moving experience you’re likely to have in an opera house.